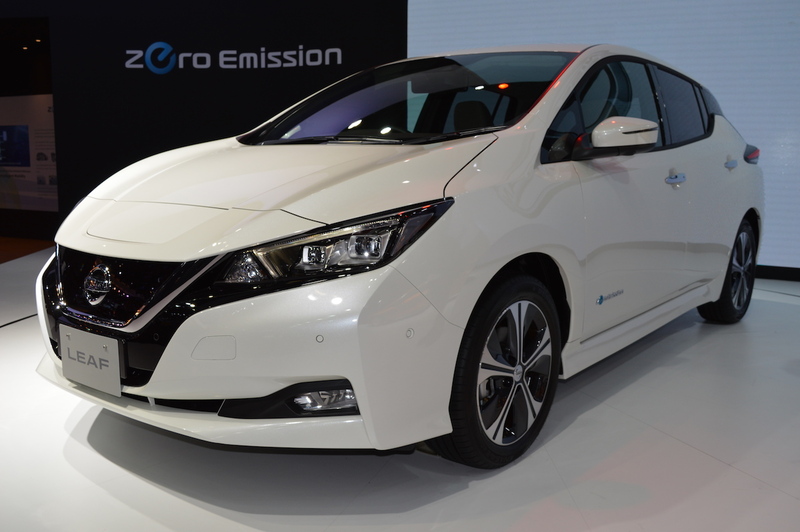 In line with a previous report, senior officials of Nissan India confirmed on the sidelines of the launch of the Kicks that the Leaf is scheduled to go on sale in the country in the current calendar year. The premium EV was showcased last month at the company's first Digital Hub in India in Thiruvananthapuram, Kerala. The Nissan Leaf is likely to come to us via CBU route and would cost more than INR 40 lakh (ex-showroom). The Nissan Leaf has been the world's best-selling electric vehicle. In India, the premium EV will be positioned as a niche offering that will showcase the carmaker's muscle in electric powertrain technology. Furthermore, the premium model should help the company understand the performance of electric cars in the Indian context. These learnings will be put to use on the locally produced, low-cost electric vehicle that will suit emerging markets. The current-gen Nissan Leaf was previewed by the Nissan IDS Concept the 2015 Tokyo Motor Show. Its front-end features the company's signature V-motion grille, sleek headlamps that carry LED fixtures, a large greenhouse, floating-effect roof, dual-tone machined alloy rims, and wrap-around tail lamps. It is 4,480 mm long, 1,790 mm wide, 1,540 mm tall, and has a wheelbase of 2,700 mm. The electric powertrain of the Nissan Leaf offers a maximum power of 150 hp and a peak torque of 320 Nm. It is claimed to sprint from 0 to 100 km/h in 7.9 seconds. The second-gen Leaf became the first EV to undergo WLTP (Worldwide Harmonised Light Vehicle Testing Procedure), as per which it offers a driving range of up to 168 miles on the Combined Cycle, or up to 258 miles in city conditions, on a single charge. Standard driver assistance features available on the Nissan Leaf include Traffic Sign Recognition, Blind Spot Warning, and Intelligent Emergency Braking with Pedestrian and Cyclist Recognition. 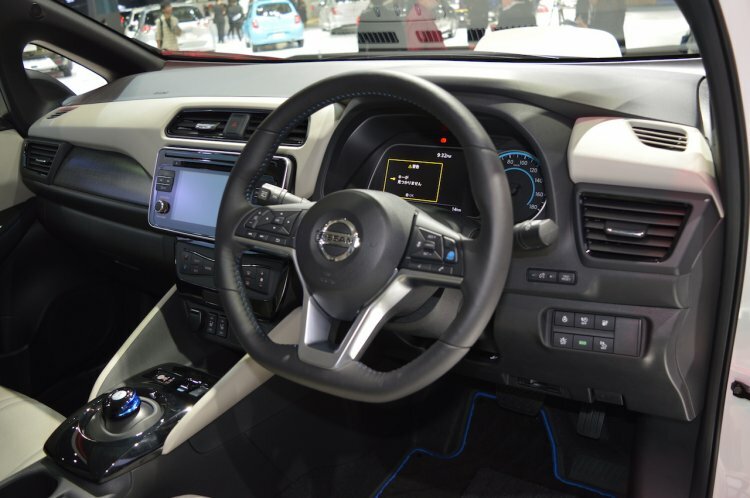 Standard features available on the second-gen Nissan Lead include six airbags, ABS with EBD, ISOFIX child seat anchorage, Brake Assist (BA), and Hill Start Assist (HSA). Advanced driver assistance systems on offer include Traffic Sign Recognition, Blind Spot Warning, and Intelligent Emergency Braking with Pedestrian and Cyclist Recognition.